AGICULTURE may be on the decline in official figures, but CQUniversity economics professor John Rolfe believes it can still be the region's "sleeping success story”. Prof Rolfe, speaking about the key economic drivers for Central Queensland at The Morning Bulletin's Future CQ forum, discussed detailed exclusive data prepared by demographer Bernard Salt. 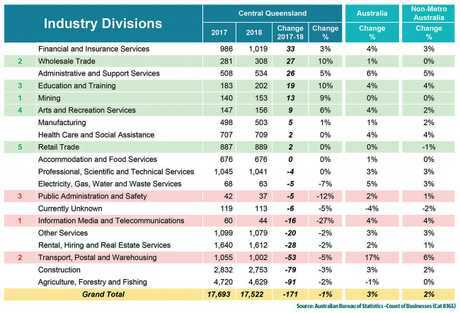 Based on those figures, business activity in the agriculture, forestry and fishing sector is down 2 per cent in Central Queensland between 2017 and 2018. However, Prof Rolfe said agriculture could be a huge success for the region on the back of Rookwood Weir. Although agriculture delivers about half the revenue of our lucrative mining industry, Prof Rolfe said the benefit of agriculture is that most of the money stays in the region. There are about 4000 agriculture-related businesses in the region. "The real success story has been the amount of money coming in,” he said. 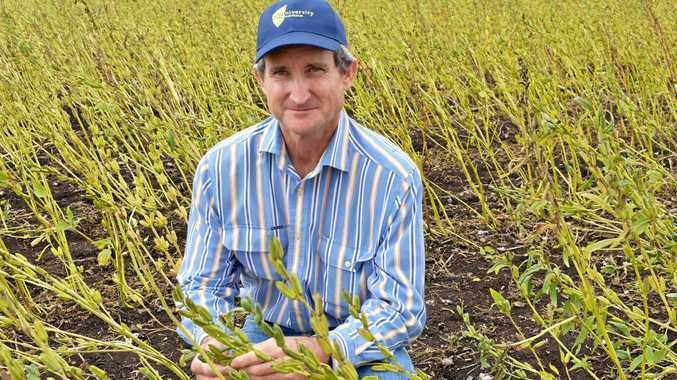 "Ten years ago we had about $800 million revenue in agriculture in CQ. "That's up to about 1.5 billion now of gross revenue and of course that money is staying here. And the future growth? It will come off the back of the $352 million Rookwood Weir. Prof Rolfe said that given the high expense of the weir the real return will be in high value products. "The only way we can make Rookwood work is if we can find new markets,” he said. "This is more than just asking farmers to produce new crops. "This requires a regional-level approach to get all our supply chains right, to get the relationships right with overseas markets, to develop the relationships with those people who are skilled. On the flip side, education is one of the highest value employment and business sectors for Central Queensland. There are fewer education and training businesses, but they are growing (up 10 per cent between 2017 and 2018). Prof Rolfe said education was a strong local employer and generated new economic activity through education. The health sector hasn't grown in the past year, but it is among one of the biggest employers in the region. Coal Train CEO Karla McPhail said the region was "the powerhouse of Queensland” and acknowledged our unique ability to cover everything from mining and construction to health, education and agriculture. Ms McPhail said the 551 small businesses in Yeppoon needed to prepare for growth by investing in themselves. "Should they be putting the infrastructure into their systems, operations, policies, cashflow and getting themselves ready for that growth, they have potential to not be a small business but to be a large business,” she said. "Certainly here my experience is that businesses are not necessarily investing in themselves as leaders and training themselves. Ms McPhail said it would take more than passion to grow businesses as the population on the coast expanded.